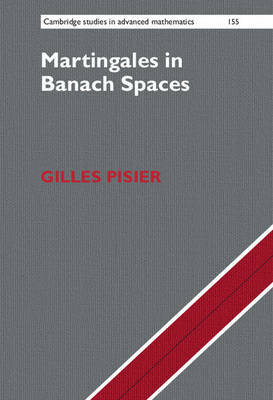 This book focuses on the major applications of martingales to the geometry of Banach spaces, and a substantial discussion of harmonic analysis in Banach space valued Hardy spaces is also presented. It covers exciting links between super-reflexivity and some metric spaces related to computer science, as well as an outline of the recently developed theory of non-commutative martingales, which has natural connections with quantum physics and quantum information theory. Requiring few prerequisites and providing fully detailed proofs for the main results, this self-contained study is accessible to graduate students with a basic knowledge of real and complex analysis and functional analysis. Chapters can be read independently, with each building from the introductory notes, and the diversity of topics included also means this book can serve as the basis for a variety of graduate courses.